Thirteen years ago, Noah Donovan betrayed the woman he loved. Now she is ready to give him another chance. Finally. It's what he wants. What he’s waited thirteen years for. But then he meets Kadee Carlisle in line at a coffee shop, and what he wants suddenly becomes more complicated. He’s immediately taken with Kadee’s beauty and intensity. He wants to know her. To be with her. And yet, he still wants to marry the woman he has been waiting for. You can't run from the secrets that define you. This novella can be read as a standalone or in conjunction with the Close Enough to Kill series. Jacqueline Simon Gunn is a Manhattan-based clinical psychologist and writer. She has authored two non-fiction books, and co-authored two others. She has published many articles, both scholarly and mainstream, and currently works as a freelance writer. With her academic and clinical experience in psychology, Gunn is now writing psychological fiction. Her Close Enough to Kill thriller series, explores the delicate line between passion and obsession, love and hate, and offers readers an elaborate look into the mind of a murderer. In addition to her clinical practice and writing, Gunn is an avid runner and reader. Gunn is currently working on multiple writing projects, including two romance novels. Simon Gunn flips her Close Enough to Kill series and gives us the perspective of the story from the victim's point of view. It's surprising how heartbreaking the story can be considering it's from the point of view of a misogynist. I wholeheartedly recommend this book, whether as a companion to the series or as a stand-alone novella. It's engrossing. You'll finish it in one sitting. 5.0 out of 5 starsI'm exhausted from the abundant emotions I felt. 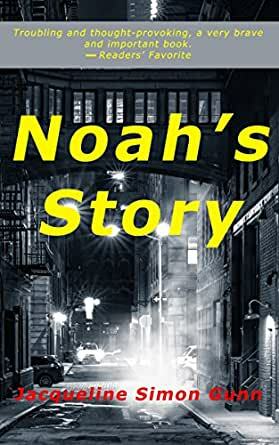 I could never hate Noah, even after everything he did..I knew there was a deep seeded core issue and although I would never condone such behaviour I really wish he wasn't killed off in the first book and I won't say anything else because I don't want to spoil the book. Poignant at its best. I received this book from the Good Reads Team in exchange for my honest review. Thank you Good Reads. If you play with fire you're going to get burned. Noah is unbelievable, he plays two woman at once. There is no victim in this book, the characters all have their fair share of guilt and that builds up to the end. This book can be read alone but when you get to the end, you will want to read the rest in this series, I do. The series is called Close Enough To Kill. Noah's mother in this book is the root to all Noah's problems and the things she has done and does is unbelievable. What a sick, sick person. This book contains sexual abuse and some steamy parts between Noah and Kadee. Noah should of stayed single. I mean how did you expect this to end? Well-written. Held my interest. Easy reading. Will recommend it.